hi, this is in black and white color combination with look and feel of old themes blackhawk but some design are different thatn previous one. Currently i have just finished my theming for “blackhawk4x” themes. To install you just need to upload zip from your prestashop backoffice . Git Hub Download : https://github.com/devilthemes/blackhawk4x . 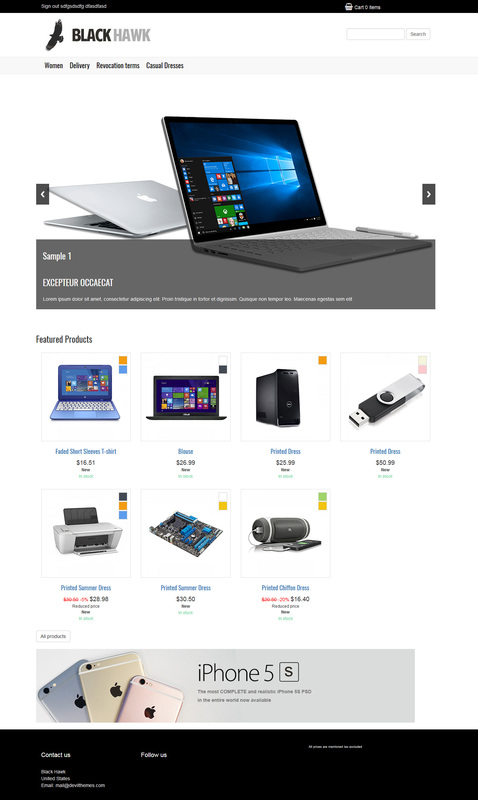 This entry was posted in 1.7, Electronics, prestashop themes and tagged 1.7 on January 8, 2017 by devilthemes.